The Botox industry has grown over recent years. More and more people, and increasingly younger people, are using this procedure to enhance their facial features. In the west, Botox is most often used to reduce the appearance of wrinkles in the face. In Asia, as well as wrinkle reduction, it is often targeted at the muscles in the jawline to create the appearance of a slimmer face. 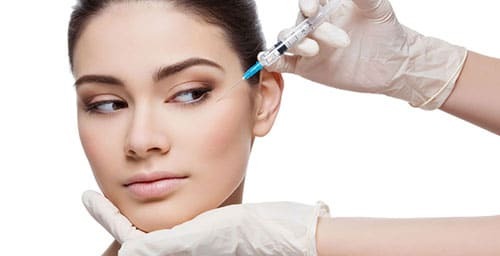 Botox is the industry name for Botulinum toxin type A. Your Botox practitioner will discuss the areas that you want to target before the procedure. After that, tiny injections of Botox are inserted into those areas. The whole procedure may only take about 20 minutes, depending on the number of injections you have. Botox is most widely known for its aesthetic effects. Many people choose it as a less invasive alternative to a procedure such as a face lift. Benefits include reduction in the appearance of crow’s feet and wrinkles, and as a treatment for drooping brows. With repeated injections over time, lines and wrinkles can become less severe as the muscles in those areas are trained to relax. Botox is generally considered to be a safe procedure for the general public. It usually requires little or no recovery time. However, there are downsides to the treatment, and potential risks that need to be considered. Although side effects from injections are not common, they are possible and you need to be aware of them. These include things like headaches, flu-like symptoms, eyelid twitching, facial pain and muscle weakness. There are also people who should avoid having injections due to associated risks. Check with your Botox practitioner to find out if it’s safe for you. Whether it’s for an aesthetic or medical procedure, there are a number of clinics around South East Asia that offer Botox treatments. Get in touch with a qualified and experienced practitioner to find out more about your treatment options.